Individuals with a prior history of anxiety, depression, migraine headaches, seizure disorder, and learning disorder. A prior history of concussion(s) and the severity of the concussion. Sustaining a double or second impact (where a second concussion occurs right after the initial concussion or before the initial concussion is entirely healed) is extremely dangerous and significantly increases the odds. Unfortunately, children often suffer double or second impact concussions as a result of being put back into a sporting event after suffering an initial blow to the head because they seem “ok.” Experts warn that concussion symptoms do not always appear immediately. It can take hours or even days for concussion symptoms to appear outwardly even though the damaging effects are happening deep inside the brain. This is why concussion are sometimes referred to as the invisible injury. Recent scientific research suggests that PCS can be permanent if recovery is not achieved within 3 years. Also, each additional PCS symptom reduces recovery rate by 20%. Given the constellation of symptoms ranging from emotional (anxiety, depression, irritability, aggression, excessive crying) to physical (headaches, migraines, dizziness, blurry vision, sleep disturbances) to cognitive (memory problems, lack of concentration, disorientation, forgetfulness) PCS can interfere immensely with one’s daily life. For kids, school, hobbies, sports and friendships may be impacted as kids suffering from PCS are likely to miss school, withdraw from sports, become disinterested or frustrated with hobbies, and avoid social interactions. For adults, suffering setbacks at work and conflicts in personal relationships with family and friends are common and detrimental to one’s enjoyment of life. What Can I Do If I Suffer From Post-Concussion Syndrome? After suffering a blow to the head or torso in a car accident, bicycle accident, fall, or sports activity, it is vital to seek immediate medical care (especially if you have a prior history of concussion) and follow your physician’s orders. It is critical to describe all potential concussion symptoms to your doctor, regardless of how minor they may seem. Never overlook or downplay concussion symptoms through denial or a desire to appear strong. Reclaiming one’s life after a traumatic brain injury can be a long and arduous process. 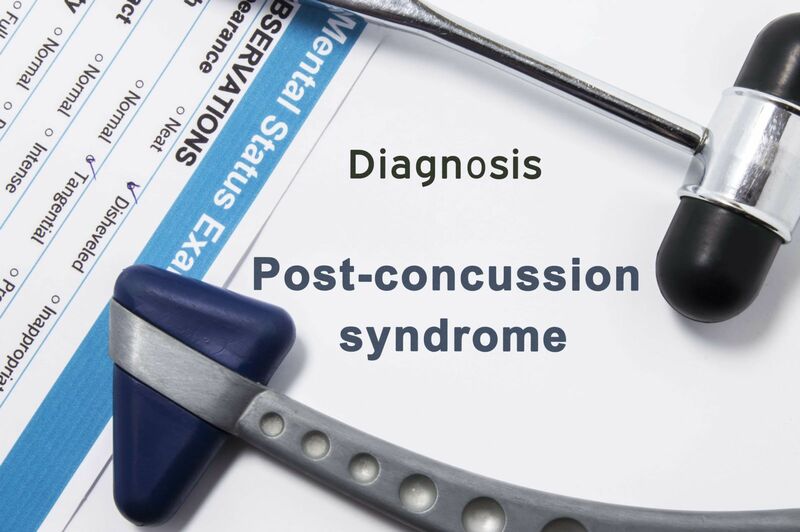 Recovery from concussions and more importantly, PCS, is often measured in weeks, months, and years, not days. For more information about concussions download a copy of our helpful consumer guide “The Layman’s Guide to Brain Injuries” by clicking here.